Atlantis Skincare is an award-winning, natural skincare brand, renowned for transforming everyday beauty rituals into therapeutic experiences. Vegan friendly and cruelty-free. 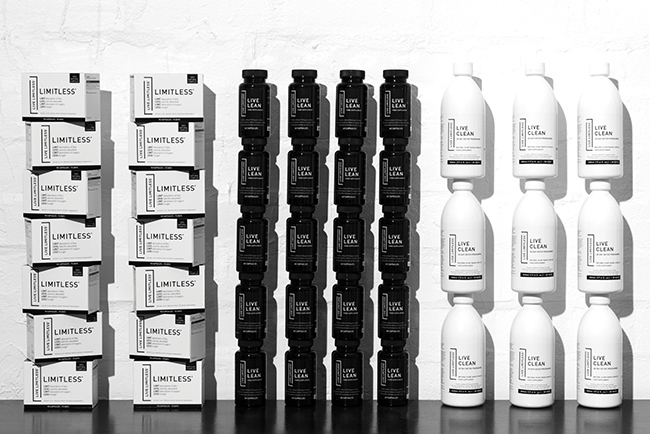 It’s been hard to find high-quality vegan supplements… until now. Eat clean, play dirty with Live Limitless -an exciting brand at the forefront of a health and fitness revolution, promoting balance and helping you enjoy food with freedom. Old Tom Gin is a particular style of gin which harks back to the 18th century. Award-winning Sacred Spirit’s interpretation has bold notes of juniper and is naturally sweetened with liquorice root, alongside a modern flourish of Spanish orange peel. The striking bottle design makes it a purr-fect present too (sorry!). 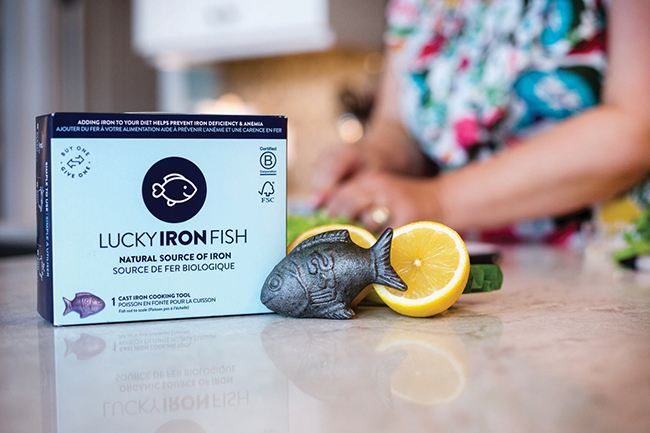 Get your dietary iron covered with the Lucky Iron Fish. It’s a natural way to boost the iron in your foods and can be used every day, without any side effects. The Lucky Iron Fish is the only fish you need! 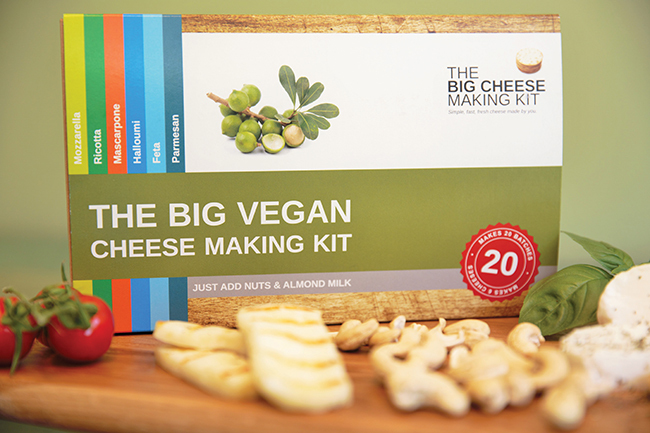 This amazing kit contains everything needed to make six different varieties of delicious dairy-free cheese in your own kitchen. You’ll be surprised at how quick and simple the process is and how good your homemade vegan cheese tastes! 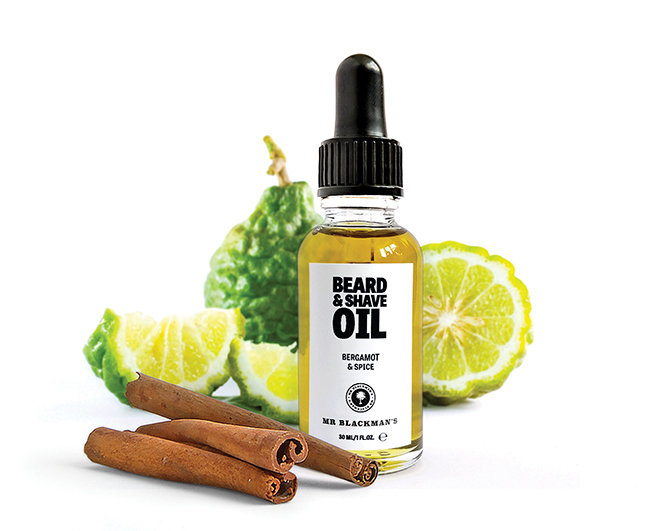 A warming blend of spice, bergamot and woody undertones, it’s no wonder this won Best Beard Oil 2018 at Beauty Shortlist Awards. 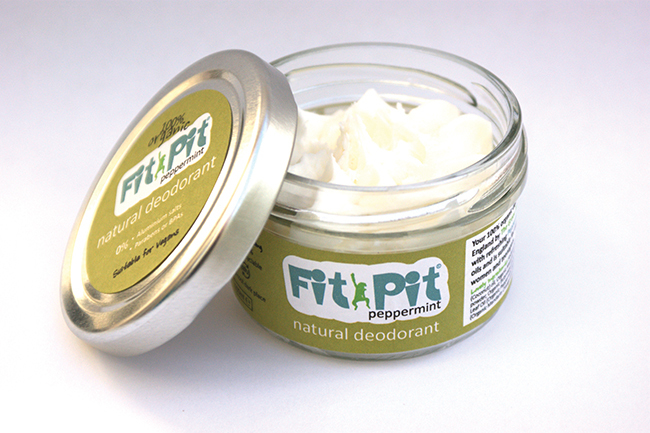 Perfect for those encroaching winter evenings, this is the ideal festive gift for vegan men everywhere! 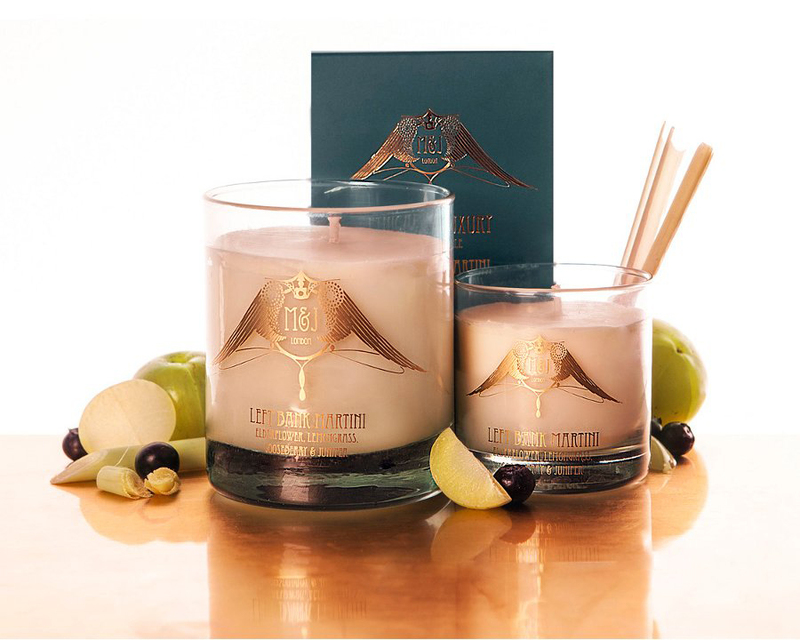 With scents inspired by worldly travels, M&J London candles offer luxurious indulgence with the knowledge that each aspect of the candle – from the wick to the recycled glass tumbler – has been produced, designed and sourced sustainably and ethically. Vegan slippers! Thick soft felt recycled from drinks bottles! 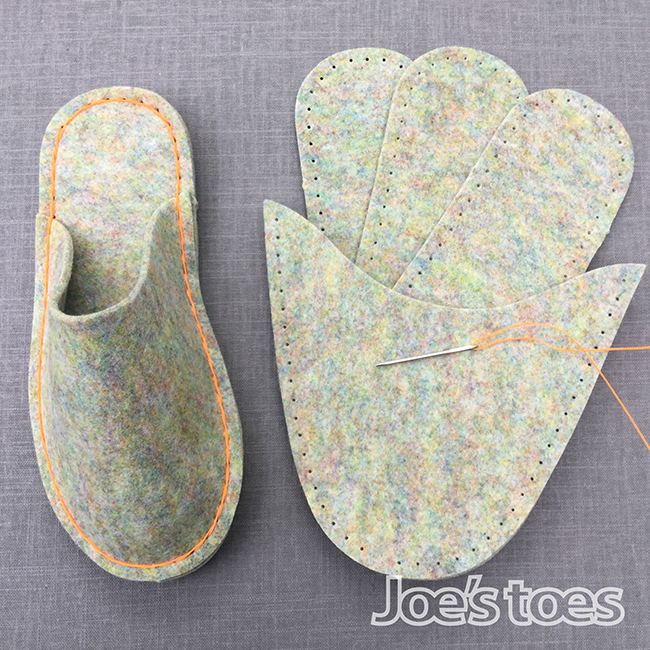 Hand-sewn for you, or easy-to-sew kit including everything. Unisex style in sizes 1-14. Made in Yorkshire, ships worldwide. Forester Products create stunning unisex accessories made from plant-based and sustainable materials. Every product sold from their vegan leather collection plants a tree. 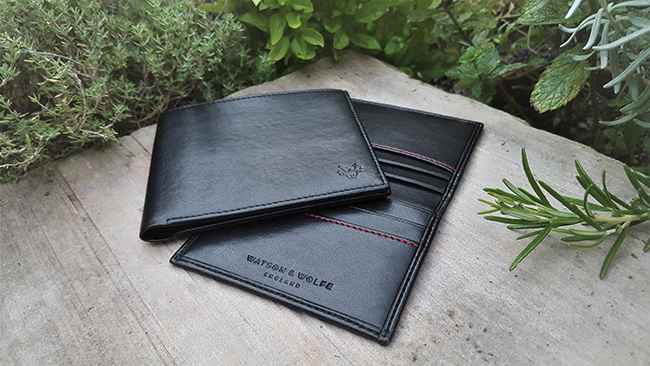 Handmade wallets and card cases. Made with more than 50% BIO plant material from renewable sources and a lining made from recycled plastic bottles. Personalisation available. British luxury eco-fashion has never looked so good. 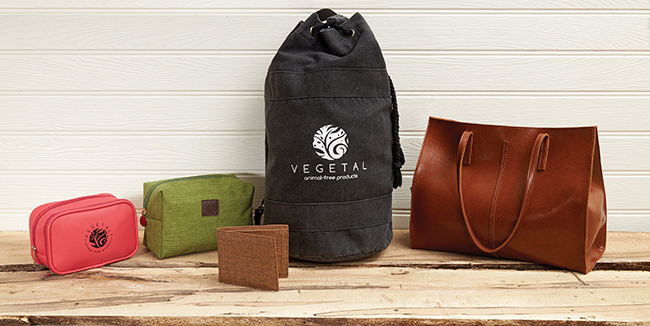 Vegetal believe that animals shouldn’t have to suffer for people to look good or carry around cool bags. 100% vegan, stylish, cool and affordable. 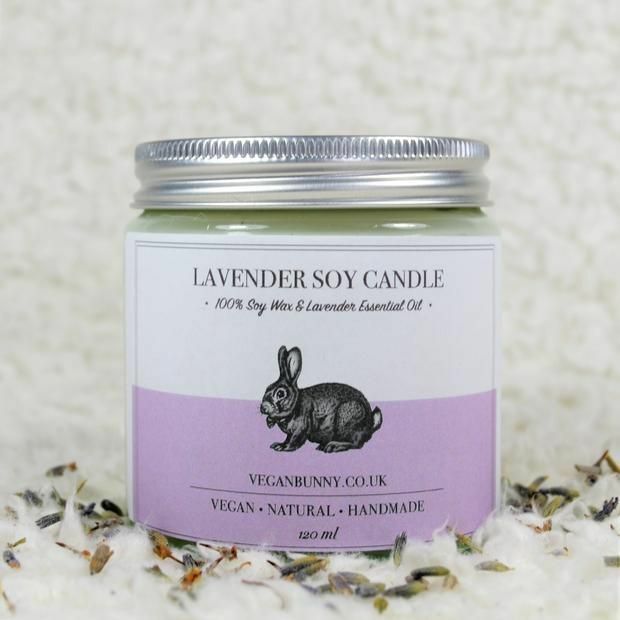 Soy candles made with pure lavender essential oil from a natural, vegan and plastic-free company. 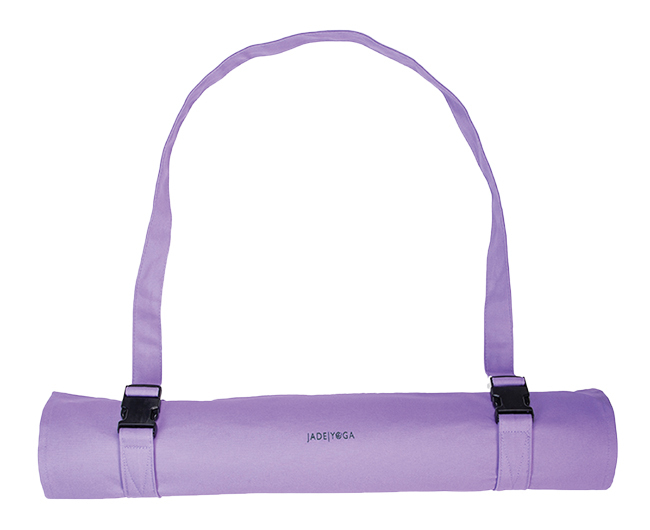 JadeYoga also do bags. 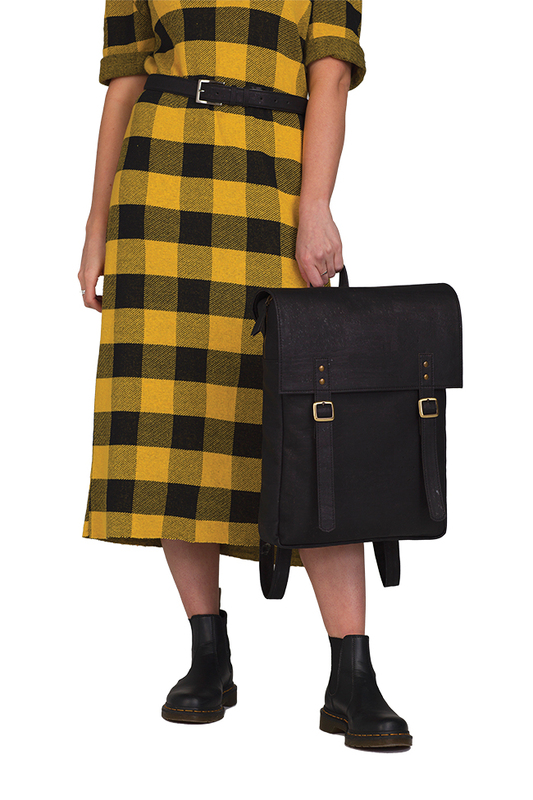 Made with organic cotton (canvas), the Parkia mat carrier has an adjustable shoulder strap and a mat cover to keep your mat out of the harmful rays of the sun on your way to and from class. A portion of the sale of every Jade Parkia carrier goes to protect habitat for chimpanzees in Uganda’s Hoima District. This extra creamy bilou shower foam smells like freshly-baked donuts with a fruity strawberry icing – simply scrumptious! 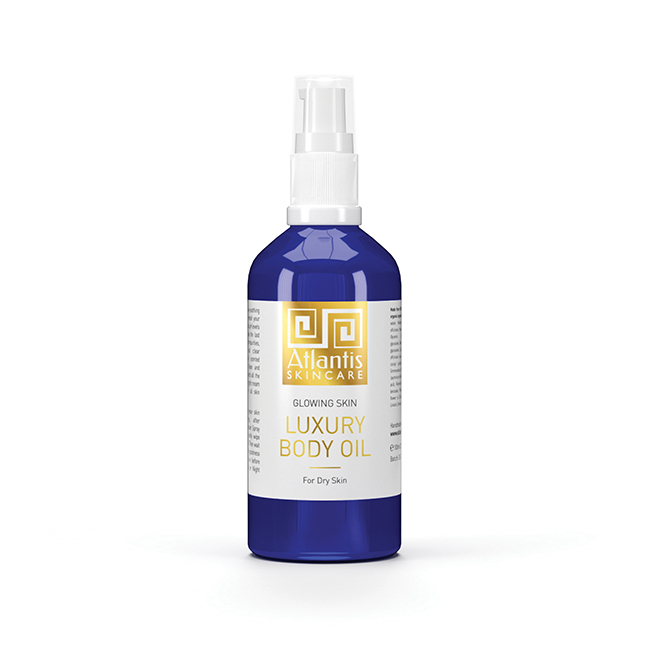 Aloe vera, almond and avocado oils guarantee a delightfully creamy sensation and gentle cleansing for your body. 100% vegan. 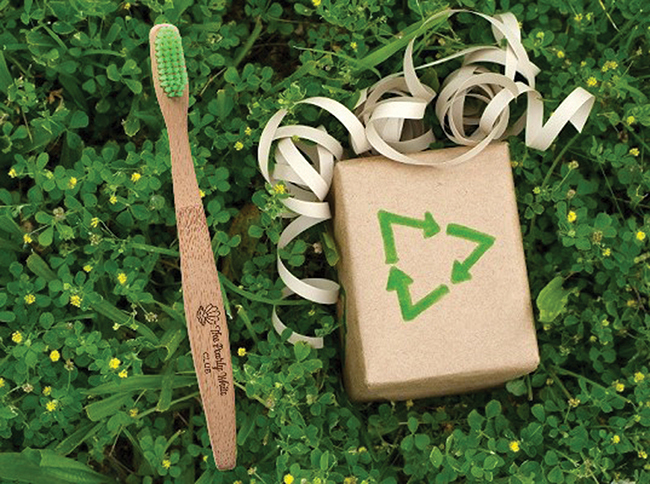 From just £16 for a 6-month subscription, help your loved ones to reduce their plastic waste with an awesome eco-friendly toothbrush being delivered every 6 weeks. 100% organic, vegan and plastic free. 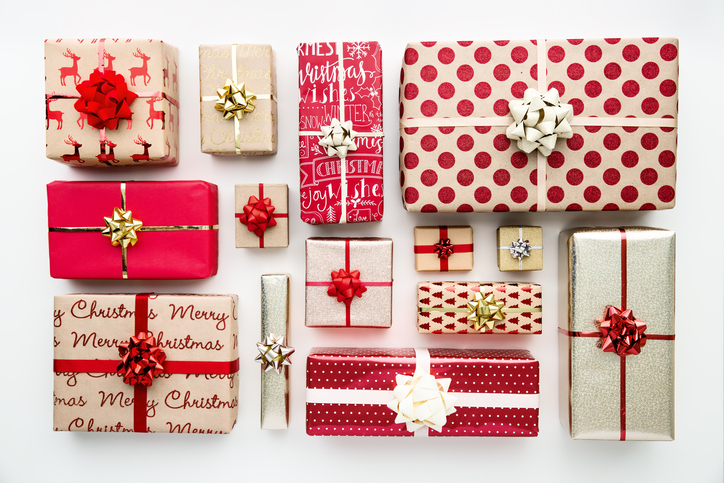 The perfect ethical stocking filler, ‘scent’ with love and a conscience. Available in five different scents. 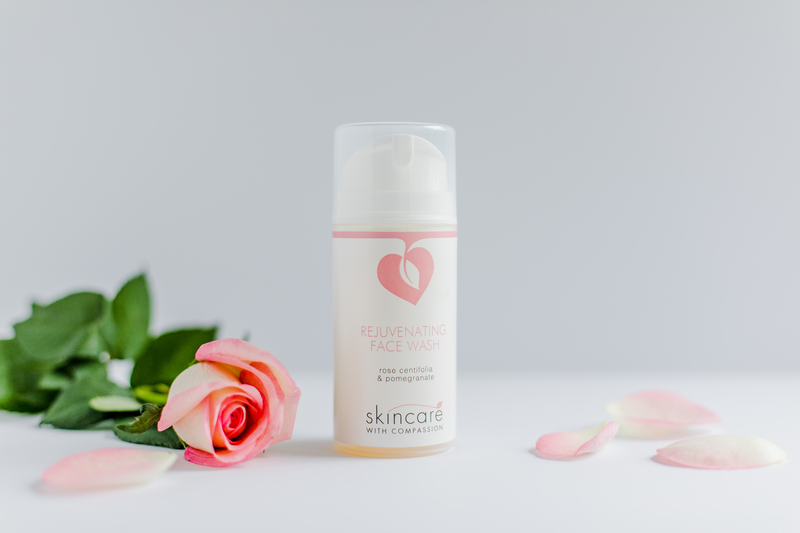 Treat someone this Christmas to our Rejuvenating Face Wash with Rose and Pomegranate. Blended with pure, nourishing ingredients to replenish skin during the festive season. Natural and Organic. Certified cruelty-free and vegan.